She loves posting photos of her glamorous lifestyle, but this time Khloe Kardashian shared a snippet of her relaxing Saturday with the Lord Disick. The reality star, 34, posted a sweet, black-and-white photo of herself with Scott Disick. 'Lord Disick and The Lady,' she captioned the snap. In the photo, Khloe leaned her head against Scott as she beamed towards the camera. The perfectly made-up reality star looked gorgeous with her blonde locks styled down into cascading waves, while her perfectly manicured lashes heightened the glamour. Scott, meanwhile, looked comfortable as he lounged about in a hoodie. 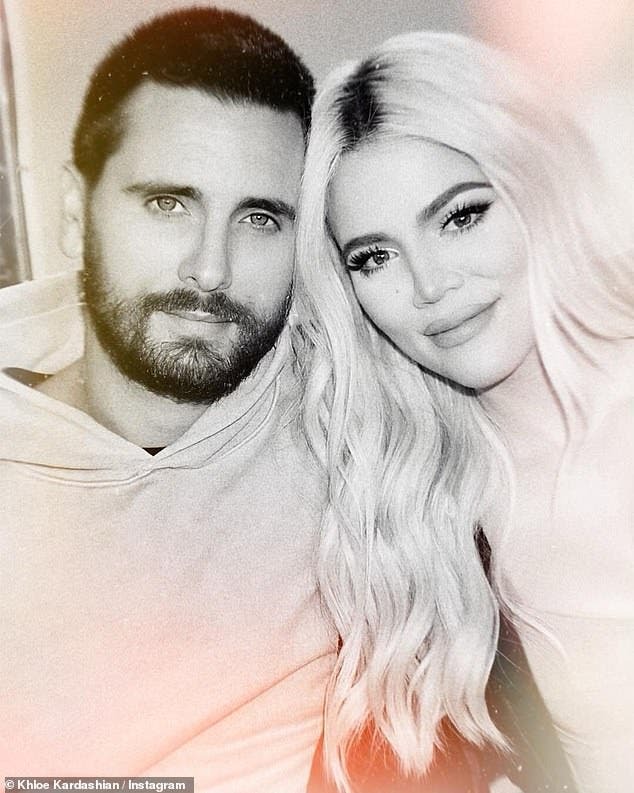 Scott was previously in a long-term relationship with Khloe's older sister, Kourtney, and together they had three children together: Mason, nine, Penelope, six, and Reign, four. The couple called it quits after nine years together in 2015. Now, both parties have moved on. Scott has been dating Sofia Richie for over a year, while Kourtney was previously in a relationship with Younes Bendjima. Khloe, meanwhile has just started her own family as well. The reality star welcomed daughter True with boyfriend Tristan Thompson last year.